Specially formulated to gently cleanse oily skin with blemishes, ACTIPUR® Purifying dermo-cleansing soap-free gel washes and cleanses skin without being aggressive.It is soap-free and extremely gentle, eliminating impurities and regulating sebum production on both the face and body.Purified and soothed each day, the skin is ready for suitable skin care. 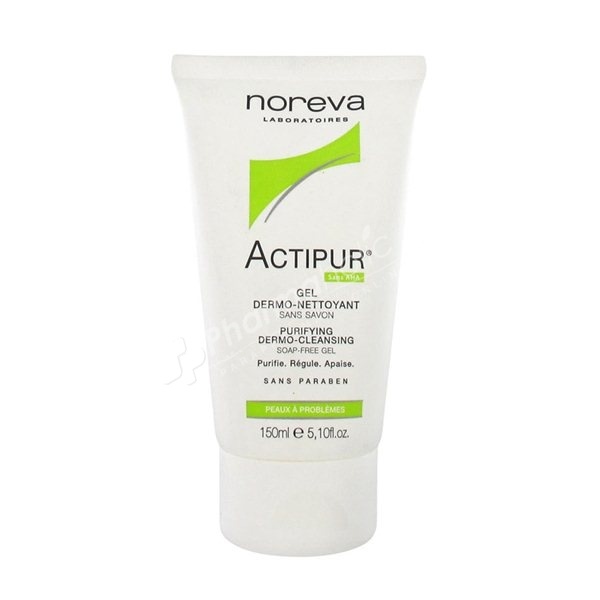 Noreva Actipur Purifying Dermo-Cleansing Gel is a soap-free dermo cleansing care extremely gentle to cleanse oily skin with imperfections. It removes all impurities and regulates the sebum production of face and body. The skin is clean, sanitized, purified, ready for the following care. Apply on humid face. Lather and rinse, dry.